Posted on Tuesday, September 9th, 2014 at 11:32 pm. Well, since September is International Pet Blogger Month, and BlogPaws is the first, the original, and the social media community that launched it all in 2009, it was bound to happen. We found a pet who types! Perhaps you have a pet who uses an electronic device. Show us in our monthly photo contest and you could walk away a winner with a $25 value prize from Pet360! Apparently Bentley the Bassett, above from M.K. 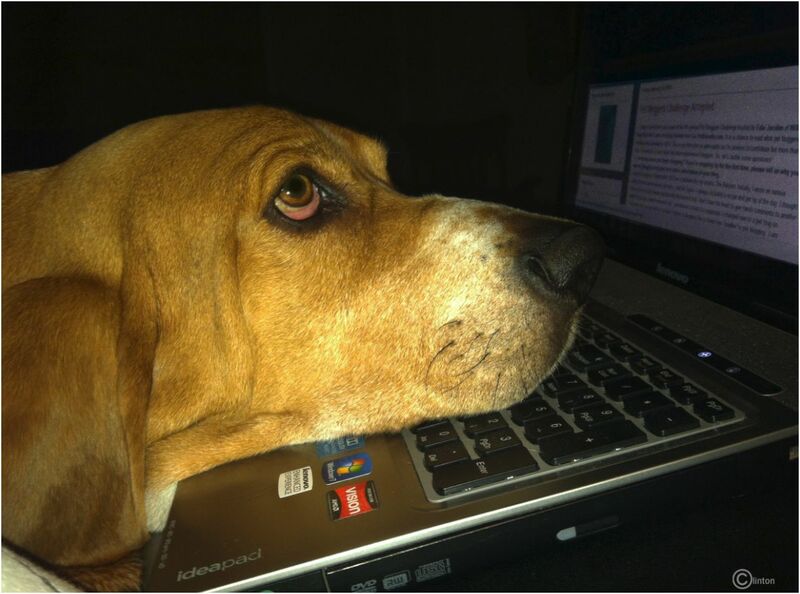 Clinton, has a jump start on e-skills and is a pet blogger in training! ! Your photo can appear here if we choose it from all entries in the photo albums from the BlogPaws Community!